With just 90 days to go before the European Parliament elections, the EU political and societal landscape is undergoing a profound and historical shake-up. This goes well beyond the reductionist and highly-polarized depiction of the pro-EU vs anti-EU / open vs closed society debate championed by our political class and magnified by the media. The effects of EU policies on citizens’ lives as further amplified by the Brexit collective journey have gradually led to the emergence of a timid, yet evolving, common pan-European debate. Yet, as epitomized by Emmanuel’s Macron multi-lingual op-ed unparallelly addressed to the whole EU electorate, this Europeanisation of the political conversation is unveiling an inconvenient truth. Notwithstanding the substantial influence generated by European integration on citizens’ lives, the EU political system, and in particular its process of representation and party competition, have not caught up. As Max Steinbeis brutally puts it: “He (Macron) and his ambitions are not on my ballot paper”. Indeed, despite voting for their representatives in Strasbourg since 1979, EU citizens do so on different dates, according to different electoral laws, and in support of candidates selected by national – as opposed to EU – parties running on political programmes driven by domestic issues. In the meantime, pan-European parties were given institutional recognition and financial resources, but they consist of weak, extra-parliamentary federations of national parties from several EU member states, united by political affinity. As a result, the EU lacks a European party system capable of fostering a genuine transnational space of political debate and dialogue, both within institutions and outside them, where citizens can understand, influence and participate in decision-making affecting their common interests as Europeans. In other words, a political Europe isn’t there. Yet its absence is becoming critically visible, be it in the dilemmas of migration, Eurozone or ecological transition. The primary institutional incentive for the development of a genuine transnational party system is that offered by a common structure of competition.1)How to Create a Transnational Party System, European Parliament, 2010 That’s the rationale sought by the so-called Spitzenkandidat (or “lead candidate”) process whereby Euro-parties are expected to select the lead candidate for the campaign, who might then become the President of the European Commission.2)The EU treaties (Article 17.7 TEU) require the Council, acting by qualified majority, to nominate for Parliament’s approval a Commission president “taking account of elections of the European Parliament”. To fairly take account of the results has been interpreted in 2014 for the Council to ‘automatically’ nominate the lead candidate designated by the party winning the most seats in Parliament. However, in view of 2019, the EU Council rejected the idea under which the Council could legally commit in advance to automatically putting forward one of the lead candidates as its nominee. Yet this institutional mechanism – which was first used in 2014 in the election of Jean-Claude Juncker – falls short of leading to a situation in which transnational parties compete for the control of a transnational political executive. Hence the various calls made in the past decade to move toward a more genuine EU election process relying on political parties being entitled to present transnational lists.3)An old federalist idea previously discussed within the EP, it was recently revamped by French President Emmanuel Macron, endorsed by EU Commission President Juncker (against his own political party), and was publicly supported by Italy, Belgium and Spain. With that said, the European Parliament, suggested the possibility of apportioning 46 of the 73 seats left by the UK to new class of MEPs representing pan-European constituencies.4)The initial report was drafted by MEPs Danuta Hübner and Pedro Silva Pereira. More on that here.EU voters would have had the chance to vote twice: for a national MEP (be it on national or regional list depending on the country) and a pan-European MEP. The European Parliament nonetheless rejected such an old, federalist proposal, suggesting the established parties do not wish rock the boat and risk losing political influence.5)Maia de la Baume, Parliament votes down plan for pan-European MEPs, The European Parliament did vote to reduce its size post-Brexit from 751 to 705 members, Politico Europe, 7 February 2018. Despite the few incentives for political parties to Europeanise the electoral contest, a growing number of domestic political parties have been connecting with one another across the political spectrum over time. Paradoxically, such an incremental Europeanisation of the political discourse has initially occurred at – and benefited to – the fringes, with radical populist parties, such as the UK’s UKIP, France’s Front National, the Dutch Wilders’ Party of Freedom, the Italian Lega Nord and the German AfD, positioning themselves vis-à-vis the EU (to beat the establishment) over the last decade.6)Interestingly enough, one of the major drivers for cross-border cooperation among those countries has been driven by the financial rewards which are made conditional upon the necessity of a minimum level of European representativeness (e.g. by forming political groups and EPP). As financial assistance was more crucial to these emerging anti-EU parties, this has started particularly at the fringes politically. By developing one common political language across their pan-European electorate, they succeeded in what mainstream political parties never even tried. Indeed, the latter by failing to identify and position themselves on EU terms have manifestly contributed to the emergence and success of these fringe parties. This lack of engagement of mainstream parties on Europe has created a political vacuum that not only younger, fringe parties but also a plethora of new grassroots movements and emerging alliances seems ready to fill across the political spectrum. Being progressively more inclined to privilege the supranational level of government, these actors are at the forefront of today’s incipient Europeanization of politics. One may consider the left-leaning coalition led by Yanis Varoufakis – and supported by Polish Razem, Danish Alternativet, and Portuguese Livre –, the Left led by Spanish Podemos and the Portuguese Bloco as well as the more youthful Volt – on the pro-EU side – and the Generation Identity7)This is a trans-European, networked group of primarily young people who advocate for a “Europe of Nations” originating in France, but that has rapidly been expanding. It defines itself as is a “Europe-wide patriotic youth movement that promotes the values of homeland, freedom and tradition through peaceful activism, political education, and community and cultural activities. We want to create an awareness for a meta-political patriotic value base”. For more information here. – on the anti-EU side – just to name a few. As of today, following the precedent set by Franck Biancheri’s Newropeans, Volt emerges as the only truly pan-EU transnational party insofar as it is the only political force to have registered the same symbol in all members of the EU and present one, single political programme.8)At the time of writing, Volt seems to fulfil the eligibility requirements to run in the following countries: Belgium, Bulgaria, Germany, Luxembourg, The Netherlands, Portugal, Sweden and Spain. Emerging from a hotchpotch of movements, associations and grassroots organisations led by old and/or new political leaders and activists, these pan-European movements – be they on the left, centre or right of the political spectrum – represent a further challenge to mainstream political parties. Indeed, what makes them stand out of traditional political parties is not only their ability to position themselves in relation to major pan-European issues – such as migration or the economy – but also to take action and successfully mobilize their supporters on these issues transnationally. The latter feature also differentiates them from previous attempts at building pan-EU political offers, such as those pioneered by Farage, Le Pen and the Five Star Movement,9)Five Star has 17 MEPs who have applied to join ALDE (this group has 68 MEPs and ranks fourth after the Eurosceptic ECR with 73) two years and a half ago, but they were rejected. As a result, 14 Five Star MEPs remained with the Europe of Freedom and Direct Democracy group (where UKIP sits), while the other three defected to other groups. which never turned into meaningful pan-EU transnational actions and a unified EU parliamentary political group. A glance at the programmes and websites of the new transnational movements shows how these emerging political forces reflect the vivacity that the dominant political discourse on Europe has been hiding for long. These organisations are as transnational as the lives of their members. Counterintuitively, this is true even for those movements that oppose cosmopolitanism – like Generation Identity – and defend instead an alleged European ethno-cultural identity. In other words, they embody a new way of feeling, understanding and mobilizing the European political space across borders and that as such seems potentially capable of disrupting traditional parties’ approach to Europe. While they have been challenged in the previous 2014 EP parliamentary elections,10)EU-sceptic, often populist, parties have gained as much as 20% of votes on average in recent elections in EU Member States and cover almost 30% of the current seats in the EP.These include such varied actors as Hungarian Fidesz and Jobbik, Polish PiS, The Finns, Danish People’s Party, Greek Syriza, Spanish Podemos, German AfD, Italian Movimento 5 Stelle and Lega Nord, French Front National, Dutch PVV, Austrian FPÖ, Slovak Smer-Direction, British UKIP and Belgian Flemish Interest. See Cas Mudde, Populism isn’t dead – Here are five things you need to know about it, The Guardian, 7 July 2017. traditional party families are (and should feel) increasingly vulnerable today. That’s a legitimate fear. They are about to lose their monopoly over Europe. Mainstream parties, such as the European People’s Party and the Socialists & Democrats, are set to lose their duopoly over not only the daily operation of Europe since its inception, but also on the very same core idea of Europe. Other traditional political forces, such as the liberals (ALDE), claim to be the ultimate defenders of such idea, but amid the Macron’s effect, is clearer to know what they are against – the anti-EU movement – than what they are for. And the far-right parties, which have historically been divided among several party families, are uniting by their strong opposition to those very same idea of Europe. Paradoxically, their critical stance against the EU offers a powerful glue among these very diverse parties who emerge not only as the major contributors but also beneficiaries of the ongoing Europeanisation of the EU political space. Europe as a political space is evolving as a shared and lively political and human space still to be shaped, but soon captured by the next European parliamentary elections. These elections might indeed emerge as the first genuinely European political competition paving the way to the emergence of an incipient European transnational democracy. Yet, despite this sudden and increasingly apparent renewal of the EU political landscape, many of the voices which are currently rising might soon be silenced. First, as the electoral law governing the EU elections is European only in name, some voices might never be heard in the new European Parliament. Indeed, due to the many differences existing among national electoral laws (e.g. required minimum number of signatures, residence requirements, etc),11)The Direct Election Act of 1976 (as amended in 2018) establishes only some basic common principles, such as proportional representation, a common 'electoral period', a voluntary threshold of not more than 5% and not lower than 2%, and a number of incompatibilities between the office of MEP and other public offices in the Member States. several of the new political movements might never be able to actually run across several European countries. Moreover, should they ever succeed in running, they would still have to reach the minimum voluntary threshold – be it a 3% or 5% – that some Member States may require on the basis of the recently revised EU electoral law. Second, to overcome the high entry barriers to the various electoral competitions some of these new, or relatively new, movements may be drawn to, or decide to, coalesce with some traditional parties or do so among themselves. Ultimately, whether the European elections will go down in history as a make or break moment for the continent will depend on the well-established domestic political parties’ readiness to join pan-European conversations so as to build alliances, before and after May 2019, across the continent. It is no accident that those parties who have chosen Europe as the default political space for building their campaigns are already ahead of the game. Indeed, to paraphrase Max Steinbeis, a transnational, European anti-Europe league is likely to be on your ballot box and that wherever you will be voting in Europe! Regardless of their outcome, the next European elections will pave the way to the emergence of a genuine EU political space that may open up new possibilities and formidable unknowns. 2. ↑ The EU treaties (Article 17.7 TEU) require the Council, acting by qualified majority, to nominate for Parliament’s approval a Commission president “taking account of elections of the European Parliament”. To fairly take account of the results has been interpreted in 2014 for the Council to ‘automatically’ nominate the lead candidate designated by the party winning the most seats in Parliament. However, in view of 2019, the EU Council rejected the idea under which the Council could legally commit in advance to automatically putting forward one of the lead candidates as its nominee. 3. ↑ An old federalist idea previously discussed within the EP, it was recently revamped by French President Emmanuel Macron, endorsed by EU Commission President Juncker (against his own political party), and was publicly supported by Italy, Belgium and Spain. 4. ↑ The initial report was drafted by MEPs Danuta Hübner and Pedro Silva Pereira. More on that here. 5. ↑ Maia de la Baume, Parliament votes down plan for pan-European MEPs, The European Parliament did vote to reduce its size post-Brexit from 751 to 705 members, Politico Europe, 7 February 2018. 6. ↑ Interestingly enough, one of the major drivers for cross-border cooperation among those countries has been driven by the financial rewards which are made conditional upon the necessity of a minimum level of European representativeness (e.g. by forming political groups and EPP). As financial assistance was more crucial to these emerging anti-EU parties, this has started particularly at the fringes politically. 7. ↑ This is a trans-European, networked group of primarily young people who advocate for a “Europe of Nations” originating in France, but that has rapidly been expanding. It defines itself as is a “Europe-wide patriotic youth movement that promotes the values of homeland, freedom and tradition through peaceful activism, political education, and community and cultural activities. We want to create an awareness for a meta-political patriotic value base”. For more information here. 8. ↑ At the time of writing, Volt seems to fulfil the eligibility requirements to run in the following countries: Belgium, Bulgaria, Germany, Luxembourg, The Netherlands, Portugal, Sweden and Spain. 9. ↑ Five Star has 17 MEPs who have applied to join ALDE (this group has 68 MEPs and ranks fourth after the Eurosceptic ECR with 73) two years and a half ago, but they were rejected. As a result, 14 Five Star MEPs remained with the Europe of Freedom and Direct Democracy group (where UKIP sits), while the other three defected to other groups. 10. ↑ EU-sceptic, often populist, parties have gained as much as 20% of votes on average in recent elections in EU Member States and cover almost 30% of the current seats in the EP.These include such varied actors as Hungarian Fidesz and Jobbik, Polish PiS, The Finns, Danish People’s Party, Greek Syriza, Spanish Podemos, German AfD, Italian Movimento 5 Stelle and Lega Nord, French Front National, Dutch PVV, Austrian FPÖ, Slovak Smer-Direction, British UKIP and Belgian Flemish Interest. See Cas Mudde, Populism isn’t dead – Here are five things you need to know about it, The Guardian, 7 July 2017. 11. ↑ The Direct Election Act of 1976 (as amended in 2018) establishes only some basic common principles, such as proportional representation, a common 'electoral period', a voluntary threshold of not more than 5% and not lower than 2%, and a number of incompatibilities between the office of MEP and other public offices in the Member States. 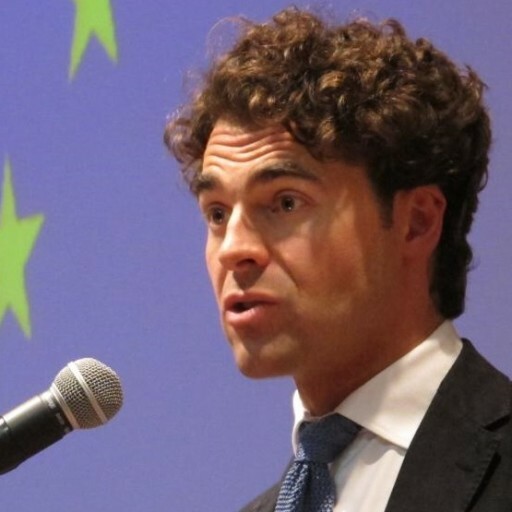 SUGGESTED CITATION Alemanno, Alberto: The Birth of Political Europe, VerfBlog, 2019/3/19, https://verfassungsblog.de/the-birth-of-political-europe/, DOI: https://doi.org/10.17176/20190324-202515-0.